In the era of on-demand video, consumers are still looking to engage with feature stories, mostly by listening to audiobooks, or in some cases by reading them through an app. Why it matters: Like any traditional medium, books have needed to evolve in the digital era to meet consumers where they are. The popularity of books in digital formats speaks to a willingness from users to engage with written stories, even when the options are endless for them to consume videos or music more passively. Driving the news: Scribd, one of the first digital subscription reading services (think of it like a digital library), announced Monday that it that had more than one million paying subscribers globally. It launched its unlimited subscription plan last year for $8.99 a month and says it has since grown its subscriptions over 40% year over year. It's seen an 100% increase in audio users over the course of 2018, with more people on its platform listening to audiobooks than ever before. Audiobooks is the fastest-growing sector within the book publishing industry, according to The Association of American Publishers. 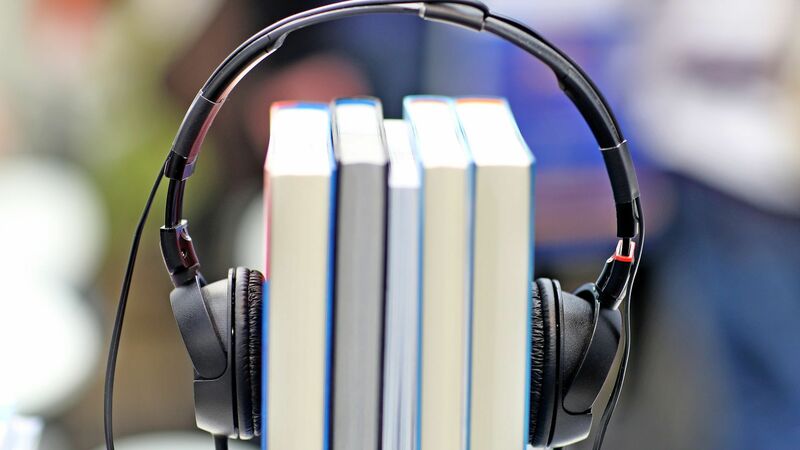 The latest consumer study conducted by Edison Research for the Audio Publishers Association estimates that audiobook sales have experienced double-digit growth for six years year-over-year. Amazon-owned Audible, unsurprisingly, is driving a large chunk of that growth. It's one of the biggest producers and retailers of audiobooks via a subscription service, with over 400,000 titles. The company says members downloaded almost 2 billion hours of content in 2016. Amazon-rival Google launched an audiobook product last year called Google Play Books that does not require a subscription. Yes, but: The rise of audiobooks could be eating at the growth of eBooks, which decreased in sales by 4.8% in the first six months of 2018, per the American Publishers Association. Still, the number of Americans who say they read eBooks has slightly increased over the past six years, according to the Pew Research Center. And very few Americans say they consume digital books exclusively. Most digital book consumers say they also read regular books, per Pew. 1 fun thing: Although not derived from books necessarily, storytelling chat apps are also growing. Chat-fiction apps like "Yarn" and "Hooked" have grown in popularity over the past few years, particularly amongst teen audiences.